This Painting is currently hanging on Bainbridge Island. It is part of the collection I have at the Bainbridge Performing Arts Gallery through April 1st. The painting is 24″x18″ and has a black floating frame. I just finished painting these 5″x5″ paintings. 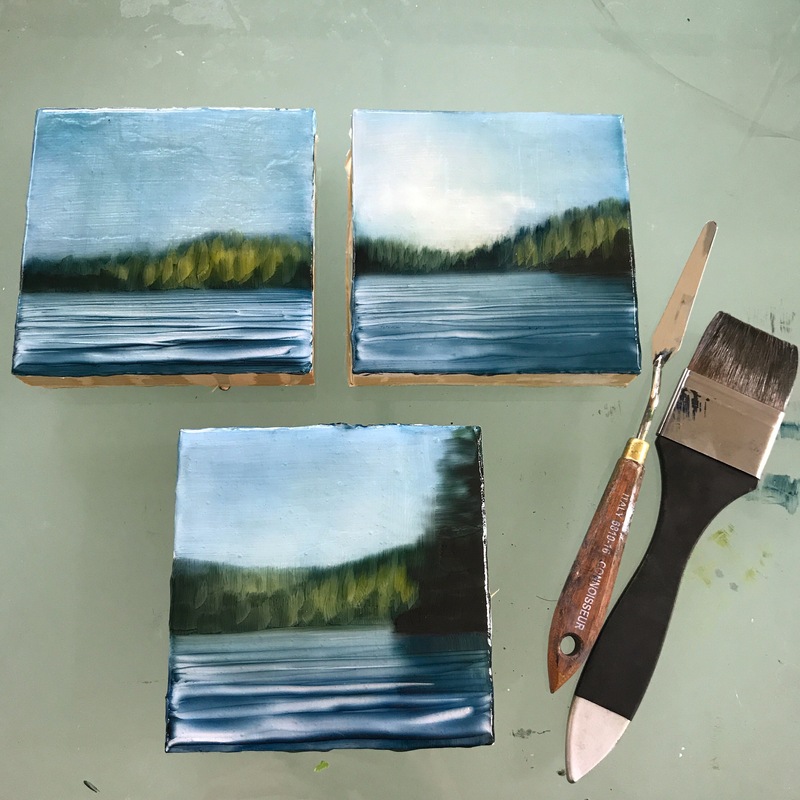 They are inspired by late afternoon light hitting the forests around Lake Pend Oreille. I plan on doing a larger painting based on these studies, hopefully I will be able to have that posted by next week.